Maxifuel, the official nutrition partner for Operation Sunbird 2012, is offering an exclusive discount to all Team FatBird Runners on their wide range of sports nutrition systems. FatBirds who do not have Training Cards (membership) can show your I/C for verification. 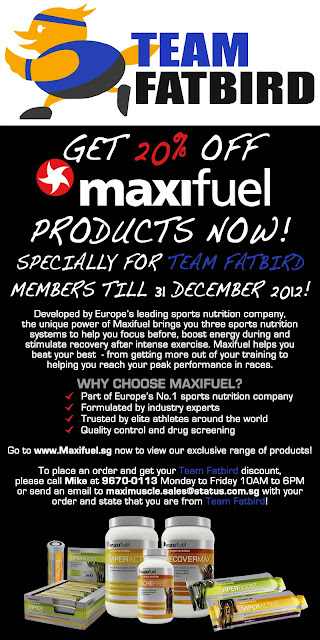 Please send queries about this exclusive promotion or other FatBird discount programs to teamsales@teamfatbird.com. Participants of FatBird training programs (NightHawk, Kookaburra, Kingfisher, Sunbird, PowerFLIGHT) and FatBird-led runs (i-Run, U Run, Brooks Run, Weekenders) are automatically part of Team FatBird. There are no membership fees for group runs, but there are training fees to participate in training programs. 2. 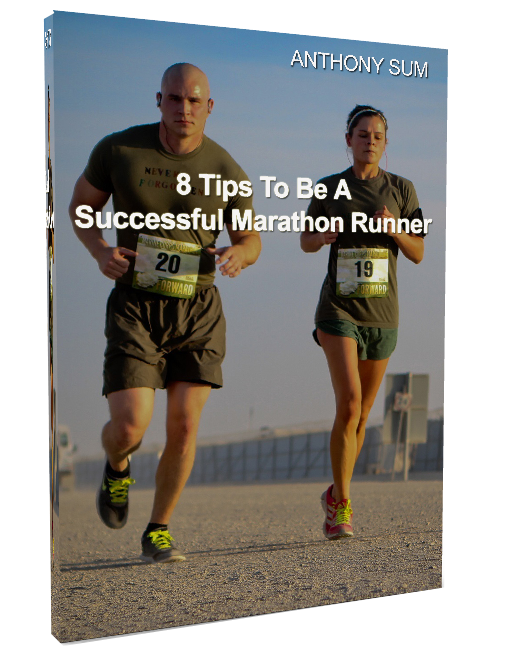 Visit HERE for more info on FatBird-led Runs. REGISTER HERE for FatBird Runs and member offers.